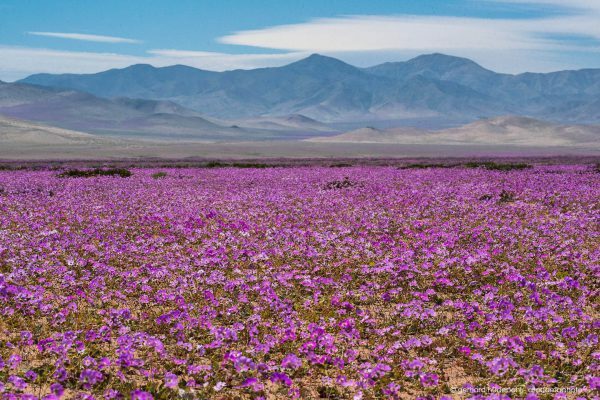 For the first time since 2010/11 the Atacama desert received significant rainfalls during the last winter. A few months later the desert appears covered with flowers. Some new photos show the amazing phenomenon which in Chile is called desierto florido and is linked to the El Nino phenomenon.